My outfit from the other day. I wear this bright green shirt for work every single day so I told myself I might as well put a little effort into dressing it up. 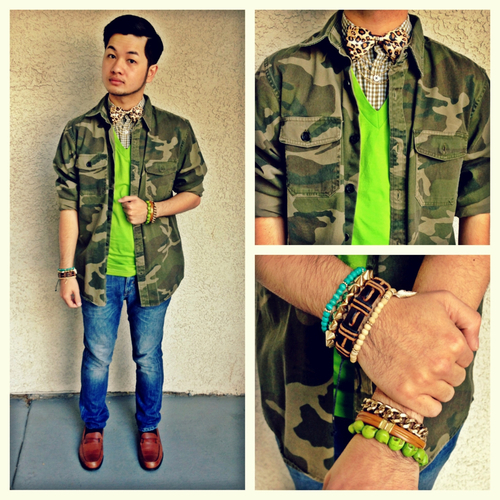 I just love this camo shirt/jacket from Old Navy. I don't know why, but I love everything about it.